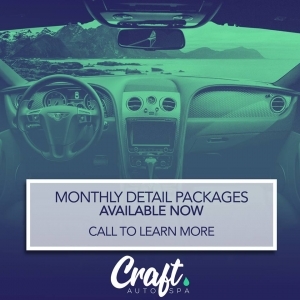 Craft Auto Spa’s specialty and #1 service. 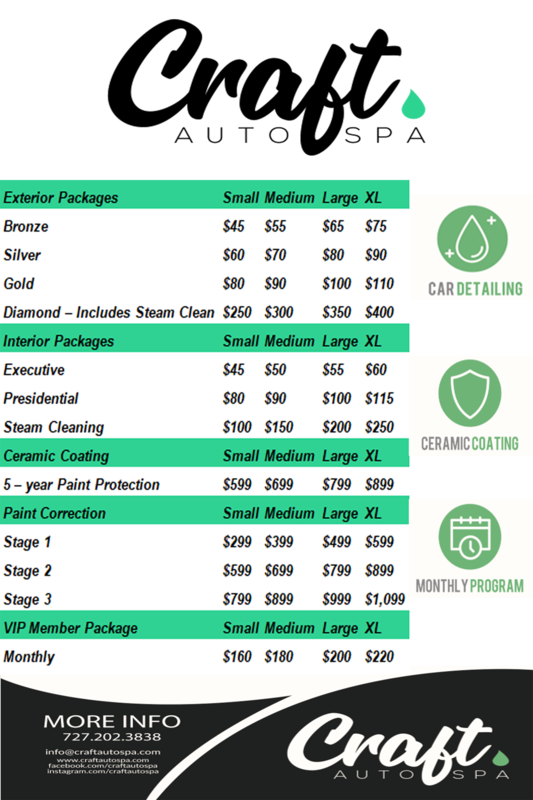 A ceramic coating will provide you with better protection than any sealant or wax while enhancing the gloss and keeping your car cleaner longer. Ceramic coatings work better for a few reasons. Sealants and waxes sit on top of the paint as a sacrificial layer that breaks down pretty quickly(weeks to months), is not chemical resistant, and offers no additional strength to the paint. Ceramic coatings are different, as they are nano-particles of ceramic. Our ceramic coating will keep your paint protected up to 5 years.